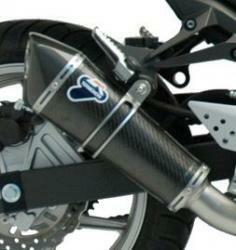 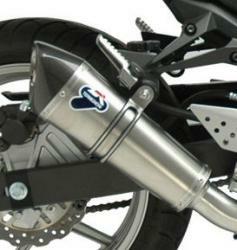 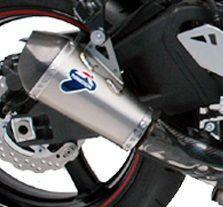 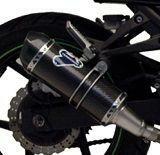 Find your Kawasaki motorbike model and choose the Termignoni exhaust system right for you. 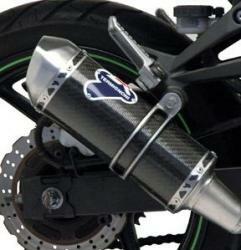 More power, more agility but also longer life thanks to technological research and a specific selection of materials. 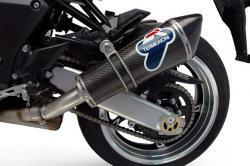 Optimise the performance of your Kawasaki by choosing the right Termignoni exhaust system. 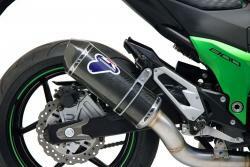 The solutions studied by our Racing Department for Kawasaki motorcycles are made of high quality Steel, Titanium and Carbon, to reduce the weight of the system and guarantee lightness and resistance even at high temperatures. 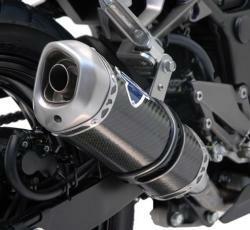 The exclusive design, aimed at enhancing the characteristics of each model, is planned to improve aerodynamics and get the most from the driving experience. 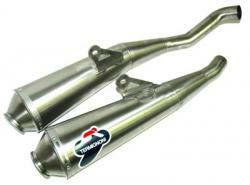 Exhaust for Kawasaki Z750, ER 6N and more, discover the products available for each model and get ready to experience the thrill of the two wheels at the highest levels.